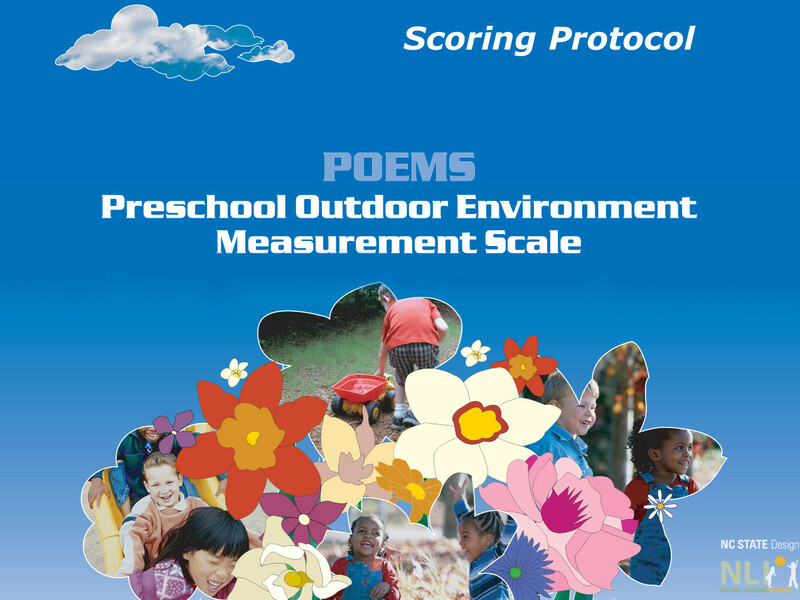 The objective of the instrument is to provide a valid, reliable tool for assessing the quality of outdoor environments and their use and at the same time provide guidance to childcare professionals and site administrators to assist them in making improvements. The instument is structured with five domains, which contain 54 assessment items scored dichotomously(present/not present). Guidance is provided for possible actions to improve environments based on the domain/item scores. A research instrument to study the implications of outdoor environmental quality for children’s development and learning. Research supported by the University of North Carolina Cooperative Extension. POEMS is distributed by Kaplan, Inc.